Hija dwar il-poeta u fundatur tal-Għaqda Poeti Maltin, ir-Rev. Mons. Amante Buontempo, li f'dan ix-xahar jagħlaq 7 snin mejjet. 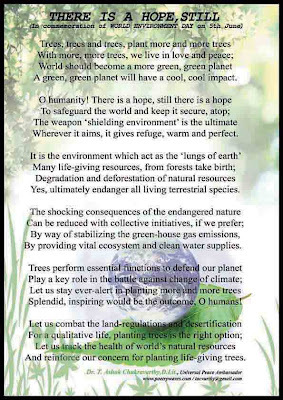 I am pleased to celebrate the occasion of WORLD ENVIRONMENT DAY (on 5th June) with an exclusive poem to commemorate the event, held under the stewardship of United Nations Environment Programme (UNEP). 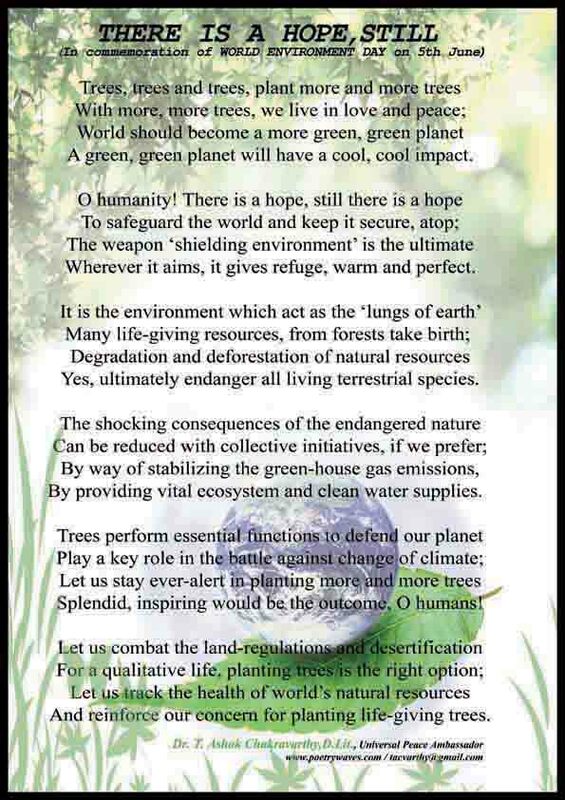 I am sure, you will go through the ATTACH POEM and transmit the same to like-minded people and sites that partake in the WORLD ENVIRONMENT DAY. Assuring of ever-ready cooperation for the welfare of people and the world.